Jerry Maguire pointed it out long ago. We *do* live in a cynical world. And the worrying part is that it’s not an overreaction. Only every time I decide there’s no magic in the world and all the fairies in Neverland must be dead, I come across a film that makes me smile and embrace J M Barrie’s maxim all over again — BELIEVE. Cinema is an infinite medium. It’s mad, beautiful, genuine, frivolous, profound, twisted, abstract, moody, mysterious, vibrant, aggressive, contradictory, hilarious, unabashed, digressive, poetic and melodious — a wide-screen reflection, extension or exaggeration of everything we are, could be or conceal. Play by its rules and the silver screen will dazzle you in ways only dreams can. To think, I almost didn’t want to see the movie. Ever since I watched its first trailer, which I thought tried too hard, I was wary and reluctant. Movies about characters with disabilities are often either distressingly gloomy or unfeeling. Needless to say, my fears were unfounded for Barfi! is most wonderfully luminous. In a world inhabited by greed and pragmatism, Basu celebrates warmth, wonderment, being silly and even limitations with such obvious honesty, fondness and classic references you feel grateful not sorry for its endearing protagonists – Barfi (Ranbir Kapoor), Jhilmil (Priyanka Chopra) and Shruti (Ileana D’Cruz). If Barfi cannot hear or speak and Jhilmil suffers from autism, Shruti is mostly a feeble-minded soul. Sounds increasingly grim but Basu plays it out like a fantasy-adventure recounted by an awestruck Shruti over multiple flashbacks. It makes sense too. Not only do incidents appear more radiant and romantic in nostalgia-themed accounts but clearly Shruti (now more self-assured than ever) has learned a lot about life and living from her beloved Barfi. It’s only understandable her story should portray him like magic. And boy is he? Aided by an accordion-friendly background score, Barfi wears a permanent badge of optimism and charm spreading happiness like flu and taking chances without ever pausing to think. Originally named after a radio, Barfi is better known by its garbled version ever since he mispronounced it so. There’s never any contrived attempt to enforce any of this into our system. His energy and responses, throughout the narrative, alone reveal the delight and depth of his soul. Then comes Shruti — so beautiful, so confused but always conscientious. Even though she’s telling us this story, the lady doesn’t take any liberties to project herself with additional sympathy through her shift from a happy-go-lucky girl to a discontented married woman. Although she admits her folly and mentions her regret, I can’t help feeling she’s holding back a few details. After all, ‘a woman’s heart is a deep ocean of secrets’, remember? To me, this makes Shruti even more appealing and enigmatic. And finally, there’s Jhilmil. She’s just a child, dresses like one, exhibits the same needs and traits too. Selective about her friends, possessive and petulant, Jhilmil demands constant care and attention, a requirement her affluent but dysfunctional family (Ashish Vidyarthi keeps himself in check) cannot quite fulfill. 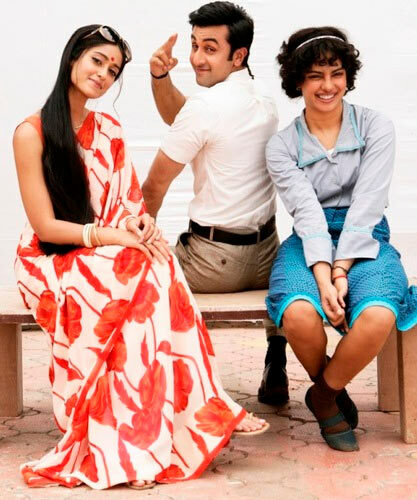 Barfi’s distinct equation with each of these girls produces some of the sweetest moments on celluloid that I’ve seen in a while. While Barfi and Shruti engage in a fluttering romance and a flawless first kiss, Barfi and Jhilmil are unlikely soul mates taking comfort in replaying the most enchanted phase of life over and again—childhood. He’s like a mom to her, even in the way she calls out ‘Buffy’ almost like Mummy. It’s so splendid, so fey; you don’t want to question it. You most certainly don’t want it to stop. Loved how Basu develops these characters and their changing relationships over a period of three decades despite how frequently the narrative travels back and forth. There’s also a suspenseful sub-plot somewhere in the middle of the proceedings, which some may find problematic and expendable. Personally, I felt it works well in deflecting attention that could have turned Barfi! overtly mawkish. If at all, I had to pick one thing I didn’t like about Barfi!, it’s the scene with all those hideous wigs towards the end, won’t elaborate further. What I will expound on is how Ravi Varman’s cinematography isn’t just about splendour. It’s always in sync with the tone and backdrop of the story traveling between vintage and modern-day Darjeeling and Kolkata. There are times when you simply stop breathing to gape at those glowing fireflies in the dark or a bunch of traditional, masked dancers smearing the screen in colours. At the same time, his generous use of close-ups, whether to reveal Ileana’s uneven complexion or the dusty corners of a grill, underline the beauty of imperfections. Even regional clichés — baatik, puchkas, dance ballets, tea estates, toy trains and trams lend a sense of mood and flavour to the story. As I mentioned earlier, Basu isn’t shy of referencing another’s work to enhance his filmmaking but he adapts them efficiently enough not to feel betrayed –a scene from The Notebook featuring Shruti and her mom (Rupa Ganguly effectively underplays), the feel-good and quirky ambiance of Amélie influences Pritam’s chirpy soundtrack and Charlie Chaplin’s brand of physical comedy dictates Barfi’s humourous disposition. It’s also a very well-written film with lucid, free-flowing dialogues, songs that speak and quaint characters. Everybody, right from the key players to supporting parts, like the Saurabh Shukla’s disgruntled but good-hearted cop, his bumbling assistant or Barfi’s affectionate daddy (Akash Khurana, to whom Barfi so lovingly cuddles up to in a warm, fuzzy scene) punctuate the proceedings with adorable whimsy. Ultimately though, Barfi! would never make good if it wasn’t for its cast. They stay true to Basu’s vision delivering a controlled, nuanced performance that clearly demands a lot of labor and commitment. There’s positive, there’s comparative, there’s superlative and there’s Ranbir Kapoor. Every time I watch this guy, I feel impatient about his next project. What next? What more? He’s such an exciting actor, correction, artist. It’s like he can read his director’s thoughts and give them a precise, mathematically accurate performance –not too much, not too little, which is meticulous and yet so fabulously spontaneous. overboard. She proves me to be so terribly wrong. As Jhilmil, she transforms into an altogether new personality. And it’s not just her Golliwog-reminiscent wig or red cardigan and black Mary Janes, it’s not the paraphernalia. I didn’t even remember its PC under all that after a while. 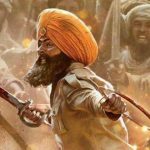 It’s all Jhilmil, a character written with so MUCH heart. 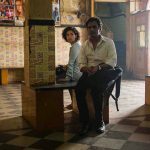 Her childlike demeanor and hesitation is pure and unaffected, especially in the scene she passes Barfi’s friendship test, you immediately want to grab her out of the screen, place her on your lap, hand her a lollipop and give her a big bear hug. Or maybe an Eskimo nose rub? I don’t understand how something so pristine can be judged as manipulative? It’s like condemning chocolate just because it’s sweet and melted in your mouth. Yes, there are films that try to exploit a disability to forcefully squeeze emotions. But Barfi! refuses to acknowledge it as a disadvantage. It’s about finding bliss in every bitter sweet scenario. It’s about building your own fairy tale with whatever is available. It’s about saying boo to perfection. Just like you never wondered how Rapunzel didn’t have any hair lice or piled on weight staying indoors all through her teenage life, you better not inquire what Barfi does for a living. Just go with the gud gud gud gud, bood bood bood bood. Right, Brrrfee? This entry was posted in Columns & Reviews and tagged anurag basu, barfi!, Ileana D'Cruz, priyanka chopra, ranbir kapoor. Bookmark the permalink. One Response to Here’s to Brrrrrrfee! 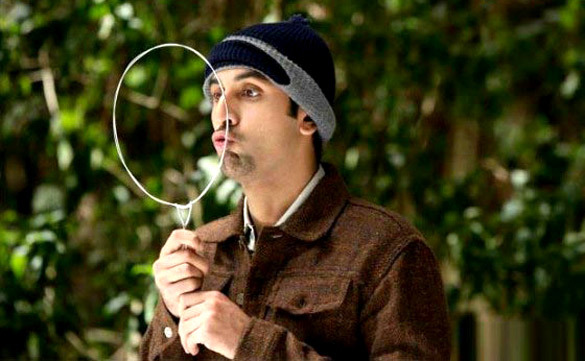 Barfi sure is an amazing film, enjoyed every bit of it thoroughly. As i read your review, it was like going back to the film, and connecting your words to the images on the screen. And, i agree, it makes one truly believe and marvel at the simplicity and beauty of Life.